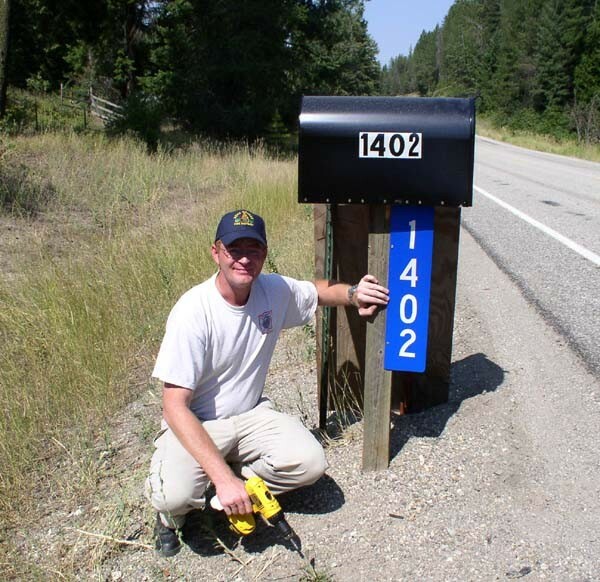 For this reason, South Pend Oreille Fire and Rescue Firefighters would like to extend the opportunity for you to cut minutes off their response time by offering highly reflective blue and white address signs. 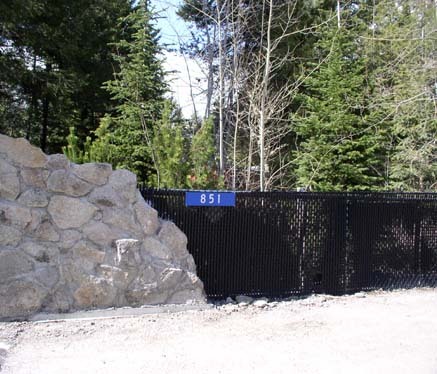 Installation of these signs at your driveway entrance or as a number for the house will provide added assurance that the correct address can be located faster in an emergency situation. 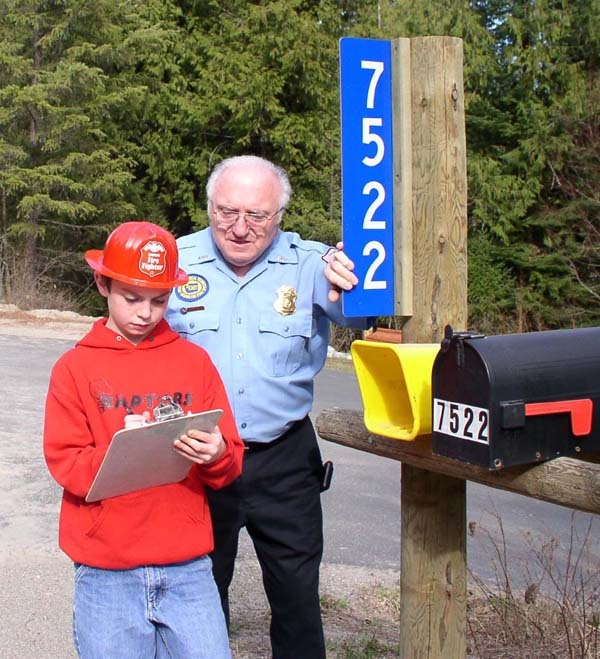 The SPOFR Firefighters will custom make an address sign for you that will be visible at the road and may save precious minutes if ever firefighters or emergency medical services personnel need to locate your address. The signs are 6"x 24" or 6" x 36" double sided BLUE REFLECTIVE aluminum with 4" WHITE reflective numbering on one or two sides. Address signs are only $20 each. 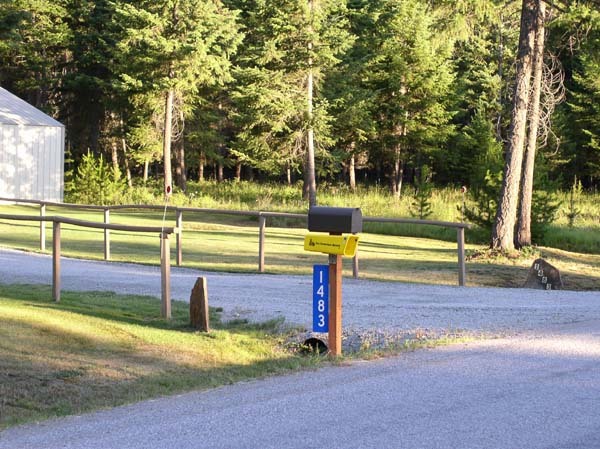 Visit the Diamond Lake Fire Station: Monday through Friday 8:00 a.m. to 4:00 p.m.
South Pend Oreille Fire and Rescue (SPOFR) Auxiliary, has been awarded a $15,000 Rural Aging Grant from Empire Heath Foundation of Spokane to help aging residents 60 and over living in SPOFR’s fire district to stay in their homes longer by providing funds for safety equipment that will make their homes safer for them. 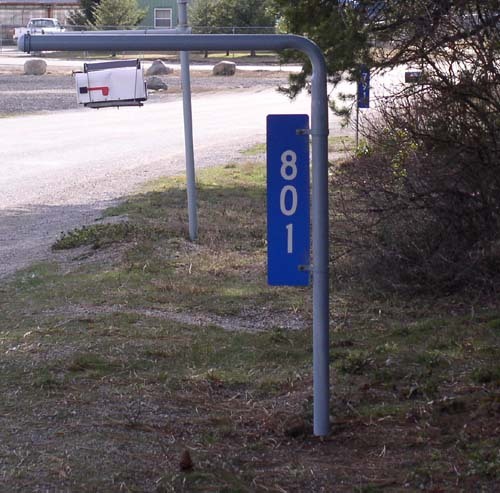 It will also pay for address markers so the fire district can find their home in an emergency. If you are interested in applying for these items for yourself, a family member, or a friend, please contact, Randy Miller at 509-998-2226.